> Honeybees never seem to get a fair break! Its amazing bees can survive at all with all the things out there preying on the poor little honeybee! Take the case last week. We went out to one of our apiary sites to find the hives had been attacked by woodpeckers. 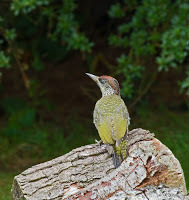 We have had this site for over 20 years and never a woodpecker to be seen, but no longer. We really take care and look after our bees well and every autumn we put the bees in newly cleaned, dry beehives. 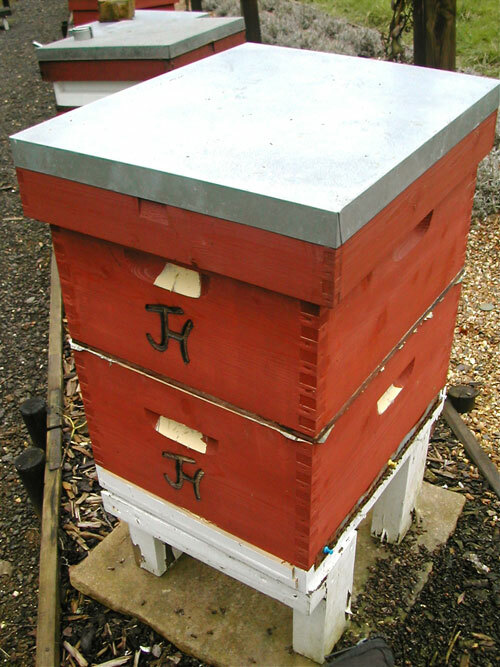 All the wood is nicely heat sterilised and in the case this year, we put them all in brand new hive boxes. They looked perfect and the bees were very happy- until last week! 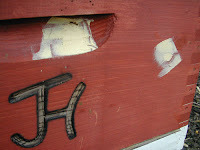 We arrived to find all our perfect hives had big holes in the sides, wood torn away and the mouse excluders pulled off. In some cases the entrance to the floors were pecked away. Woodpeckers! Woodpeckers are very clever birds. Notice in the photos, they have only attacked the narrow handle grooved cut outs. This is because its narrower and easier to get though. They tap along the wood and listen for the sound of a thinner layer of wood and work on that area. In the wild that would be an area of a trees dead wood, indicating a hollow, likely to house insects a favourite food. The birds tapping stresses and alarms the bees within the hive. When a hole is finally perched though the wall of the hive, the woodpecker simply taps a few times and waits. A little bee will pop out to investigate and the woodpecker eats it. The woodpecker will keep going until either they eat all your bees or stress the bees so much that your bees will eat their honey stores (trying to save what they can in a time of attack) and starve to death. SO… we went to work on lots of hives. Once woodpeckers find your hives, thats it, they never leave. So what to do? 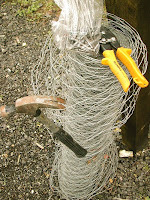 Protect each hive with chicken wire. It takes a lot of time, but its the only thing you can do to save your bees. First you need to repair the damage and make it secure once more for your bees. Fill all the holes with a two part external resin compound. You can place a piece of thin metal nailed on the inside of the hive if the hole is very large. 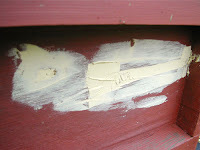 Sand it flush and repaint or stain the outside again to make it weather proof. 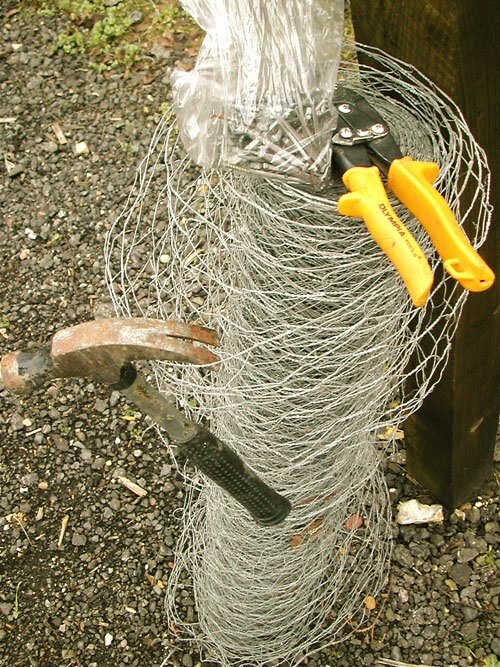 Now you need to cover the hive with the chicken wire. The mesh is wide enough to allow the bees to freely enter and exit, but will inhibit the woodpecker from getting at the sides of your hive. Once they try a few times without success, hopefully they will give up and go away. Use a piece of wood on the top of the hive to keep the mesh away from the sides of the beehive. 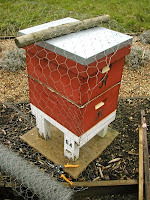 The trick is to keep the wire mesh as far away from the sides of your beehive as possible. We then prop a piece of wood between the mesh and the handle groove. This creates a space between, making it harder for the woodpecker to get at the beehive. Lastly we place our plastic decoy Pond Crane on patrol. We put it on a post and move it around the hives each week so the woodpecker does not learn its a fake. This seems to keep the woodpeckers at bay. Believe me once you have repaired and mesh wrapped 50+ hives like this, you will never be able to look at Woody the Woodpecker in the same way again!